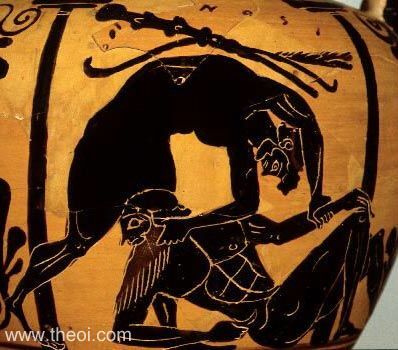 Heracles wrestles the Libyan giant Antaeus. The hero has a club and bow strapped to his back. The giant lies prone.